Alignsat 1m manual flyaway antenna is a high performance, high environment adaptivity satellite antenna dedicated to emergency wideband communications. 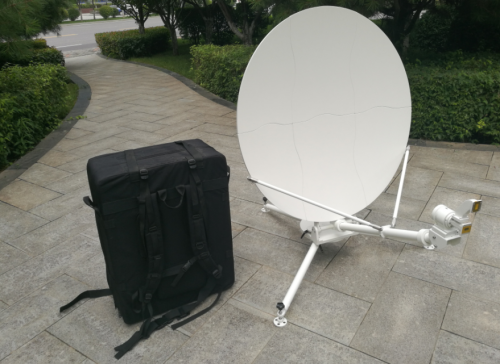 The antenna has a light weight and it is available for multiple transportations. 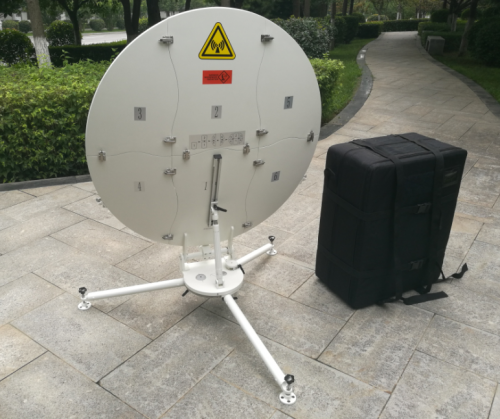 The antenna adopts modular design, with reliable structural strength, easy operations, simple access without professional tools, it can better finish high- difficulty task in various environment. The antenna can be used for all domestic & international Ku & Ka band communication satellites. Emergency communication of counter-terrorism, nature disasters; TV live broadcasting, measurement & monitoring ,government emergency communication department, civil defense, news media, mobile communication operator, public security, fire control, border defense, military, enterprises and institutions, etc. Azimuth & elevation angle adjustment realizes fast and fine tuning functions, it rapidly decreases the satellite acquisition period.